If I did a quick scan of the outfits I wore over the last few years, there would undoubtedly be a few I regret. Guilty. The root of those “mishaps” almost always boils down to a styling issue I overlooked at the time. But that’s the thing about my fashion mistakes—if they never happened, I wouldn’t have learned from them enough to ultimately keep my ensembles feeling fresh and uniquely me. Because I’m always here to help (hey! ), I’m sharing the five fashion “mistakes” I’ve made along the way, to potentially help inform your upcoming styling decisions. Trust me when I say if I’d avoided these bad habits in the first place, I would’ve felt less havoc on my personal style. But we all live and learn. Keep scrolling for my breakdown, and shop cool pieces to continue upgrading your wardrobe. It may seem like a no-brainer, but your tailor should really be one of your best fashion friends. Because really, you can’t deny the power of a perfect-fitting outfit (aka this flawless outfit here). 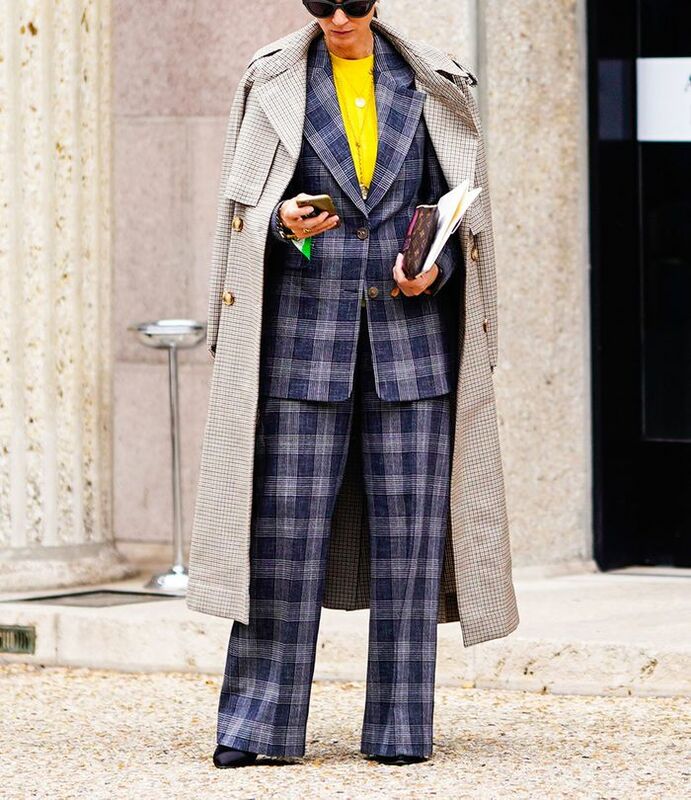 I can’t tell you how many times I’ve stepped out in a pair of ill-fitting trousers or a blazer that wasn’t quite right (sleeves too long, or a bit too loose) and instantly regretted the decision because I didn’t feel put together, which ultimately lowered my confidence level. Sure, socks may seem like an afterthought, but if you choose the wrong pair, they can actually be the culprits of a “ruined” outfit. My biggest mistake is opting for an awkward silhouette based on certain shoe styles. For example, wanting to achieve “the no-show look,” but going for a pair of sport socks that crept out of the shoes just a bit too much. Or worse, wearing white socks thinking you wouldn’t see them with ankle boots, but ultimately having pant legs rise up to uncover the blunder. Mistake: Forgetting about "the silhouette"
While this one is totally subjective based on your style, I personally never forget about the silhouette that works best for my body. Going for a baggy top and trousers does not work for me (I tried and failed). Rather, I like to balance my look with one or the other, usually a loose top with skinnier pants. 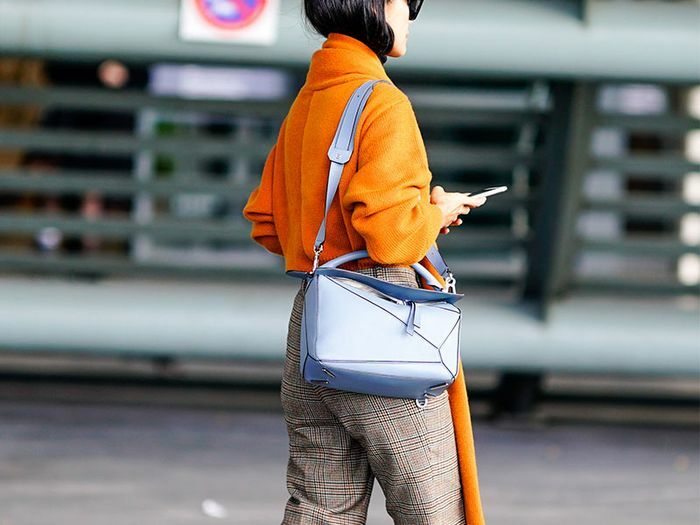 But if I do have two non-formfitting pieces, I prefer to create a silhouette with some shape, like half-tucking the top as the street style star is showcasing here. This may also seem like a no-brainer, but going for uncomfortable shoes will just never work out. Sure, the shoes in question may look great and complete your outfit, but if you’re going to end up hobbling all night, it’s not worth it. I don’t wear heels, but even some flat dress shoes kill my feet, and I regret wearing them every time because I end up thinking about my pain all night, rather than enjoying whatever it is I’m doing. Last but not least, I’ve learned over time that it’s always best to stick to your personal style. If you try to be someone you’re not or step out in trends that just don’t feel like you, you’re going to feel uncomfortable in your skin. I love easy ’fits including trousers, knits, and jackets, so I’ve learned to stick to that uniform because it makes me feel like, well, me. Next, check out the skinny-jean "mistakes" celebs make.